get a Gieger counter NOW …. you can get cheap ones that will do well enough that plug into the audio jack of a cell phone .. and cost under $35. Skills and manual labor form the back bone of modern society although many would deny this. Now is the time to learn a skill. 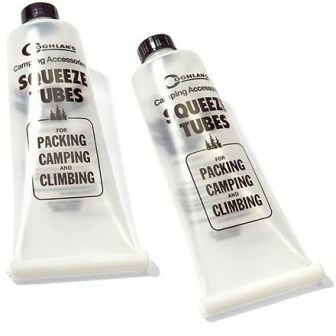 I bought some of these tubes the other day – wasn’t to sure what i would do with them but at R10 for 2 at the local Mr Price sport – cause they were “shop soiled” ( which was only the packaging i might add ) it seamed like a good buy. Initially i had no idea what i might do with them but it dawned on me this morning, the ration bars I have posted on my blog before are not so great to eat because they are very dry and hard .. which in itself is good but with these tubes i though to make them easier to eat and more appetizing, the idea is to put the ingredients in the tubes dry, other than the honey, and add a little more powdered sugar to make up for this, then when needed open the clip, add warm/ hot water, enjoy, well at least thats the theory, will have to test and get back to you all. I will see when I test, but the tubes may not be big enough for a full ration which wont help much. now I’m not saying it is going to replace a torch just that it can provide a compact light that could help you in a tight situation, even if its just to find something tied to it, like your house keys. if using this method there is no need to feed the digester or have a sludge outlet .. cause its setup to use batches.